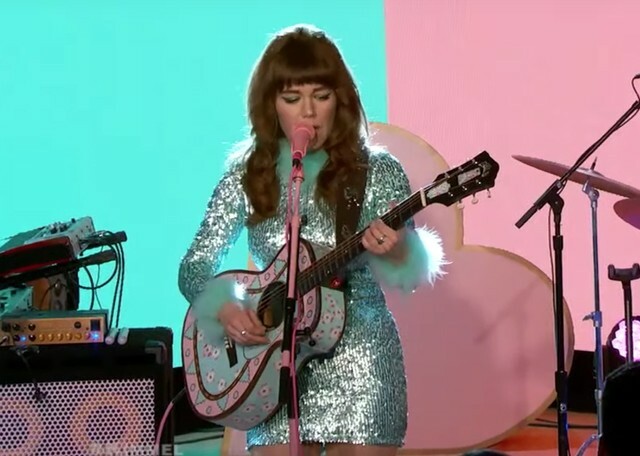 American singer-songwriter Jenny Lewis released her long-awaited fourth studio album “On The Line” on March 22, 2019. It is her first LP in five years. Before the release of the album, she appeared on Jimmy Kimmel Live, where she performed the first single “Red Bull & Hennessy” and the latest single “Wasted Youth” from the album. On the album, she teamed up with an all-star roster of musicians like Beck, Ringo Starr, Benmont Tench, Don Was, Jim Keltner, and old collaborator Ryan Adams. She dedicate the album to the memory of her mother, who passed away in 2017, in which especially the 8th track "Little White Dove". "My mom she was an addict and struggled with the disease of addiction for her entire life," she told NPR. "These relationships with our parents are so potent and complex. And reaching the end of life and being able to see someone go through that process is so intimate. And really, the song is about the little white dove showing up with love and forgiveness and understanding and peace."